A hit-and-run accident can be a devastating event. Drivers who are involved in accidents and then leave the scene face both civil and criminal liability. Civil liability includes monetary recovery from the driver’s insurance company or personally from the driver themselves. Criminal liability includes fines, probation and even jail time for especially egregious incidents. It can be difficult to understand why a driver would act so carelessly and recklessly, in complete disregard for the rights and safety of others. Unfortunately, not all of these perpetrators are apprehended by police and brought to justice. In those cases, a good personal injury attorney can come into play and locate other avenues of recovery for you. Many people are unaware that they carry uninsured motorist coverage as a standard part of their automobile insurance policy. 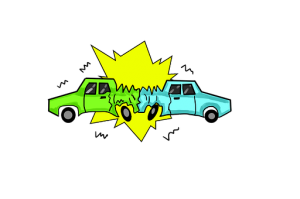 Uninsured motorist coverage kicks in when you are hit by a driver without insurance or, in the case of a hit and run, the other driver cannot be found. In these instances, your policy should take responsibility for the crash and pay you for any damages you sustained, including lost wages and out of pocket medical expenses. Uninsured motorist issues are extremely complex and should never be handled without the aid and advice of an experienced personal injury lawyer. Please call us today at 617-367-2900 to discuss your case. The call is free and if we decide to take your case we do not recover unless you do. Give us a call today.